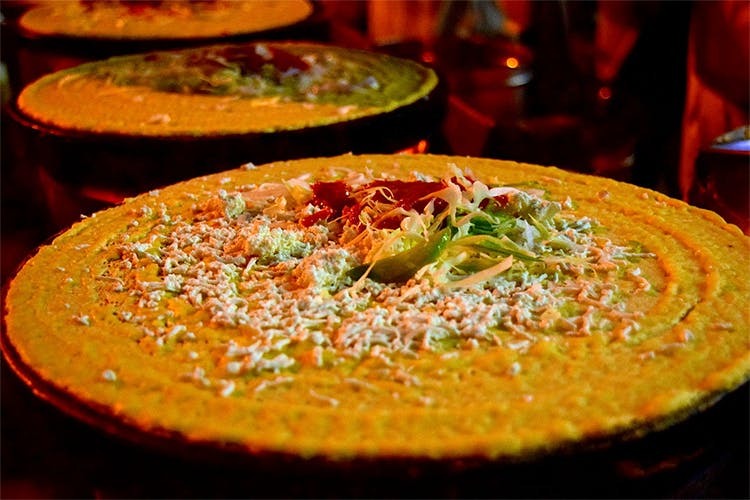 We’re up for anything cheesy always, and the delicious dosas at Rajendra Dosa in Borivali are full of masala, cheese and more. Before the entire ‘dosa revolution’ took over Mumbai, there was Rajendra Dosa in Borivali with its classic menu including favourites such as cheese masala dosa, chatni powder dosa and pav bhaji dosa. It’s one of our favourites in the suburbs. Cheap, delicious and filling- everything about this is perfect. You get what you see and the green chutney is perfection. The joint has been there for about six years now, has opened one other branch as well but do go to the original one. It is just a simple dosa place, no seating as such but the taste makes up for that. Some things are best left at cheesy dosa, aren’t they? Right next to it is a bookshop called Sooti and you might want to check that out too.